screen capture of the top of our new home page! Ok, I can now reveal a complete revamp of our main website as seen here! It is still not 100% done, its a work in progress and several features are being finished right now. 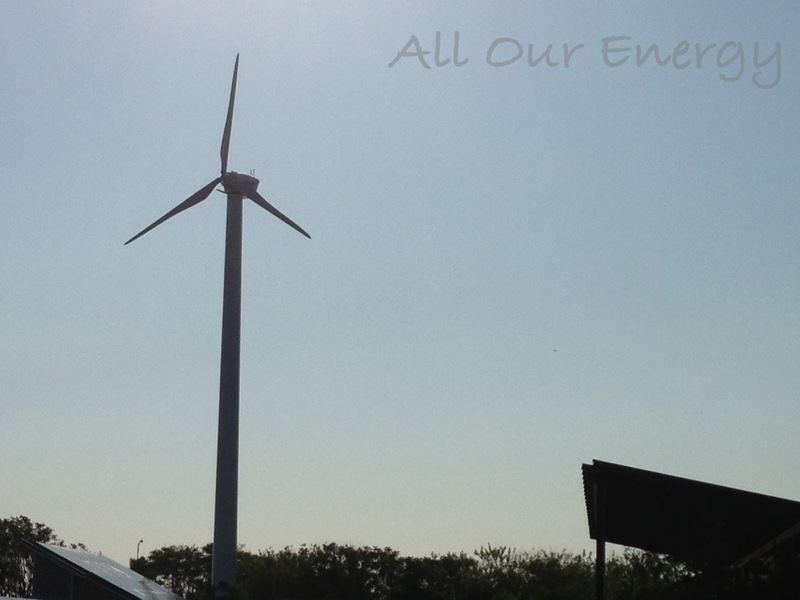 As you are one our core followers, I’d like any input you may have to help advance our outreach to the general public, businesses, orgs, politicians and others to create conversations, and help ignite interest, expand knowledge and inspire action to bring about the clean energy revolution. Yours truly attended the hearings on New York’s energy plan at SUNY Farmingdale on March 3, 2014. In my debut, I actually signed up and spoke about it to the State representatives and made the case that the energy plan needs better vision and paths to achieve more renewable energy. I believe this is showing TONIGHT- March 17 at 9:30 or 10:30 PM on Cablevision Channel 20 with additional footage Thursday March 20 at 3PM and 4PM as well. The European Wind Energy Association reminded them and everyone else that though he can mess with their fossil fuel supplies, Vladamir Putin Can’t Shut down their Wind Energy!! Up For Climate! 31 Senators insisted on making the case for action on global Climate Change by speaking all night about it. Thanks to our Senators Schumer and Gillibrand plus Senators Booker of NJ, Warren and Markey of MA, Sanders Of VT, Blumenthal and Murphy of CT, and from NH Shaheen and Whitehouse who led the charge on Up For Climate! Winners go to Solar Decathlon 2014. in Versailles France! US Natural gas fail 2014. right when they needed it, windpower saved the day as natural gas came up short. Paul Gipe serves em up like few can. Wind Energy Economic and Environmental so many outright lie op eds out there, most from actual paid lobbyists, so here’s a good one that fights back from Maine, where wind energy makes headway against tiny but well funded and even better connected opposition, in a place where wind energy is a “no brainer”. have you got stories, experiences or thoughts to share? let us know. after all, YOU are All Our Energy! Global Wind Day Photo Contest, we want to remind everyone that the date is fast approaching. What is Global Wind Day? Global Wind Day is a worldwide event that occurs annually on 15 June. It is a day for discovering wind, its power and the possibilities it holds to change our world. We hope you got your photo contest entries in on time. Check out the Events Map where you can search for local and all other worldwide Global Wind Day events. The nearest ones to our local area are the Greenpeace-related Energy Week Boston, MA and in Ocean City, NJ where the Sierra Club have organized a kite flying event open to all, to show the power of wind. 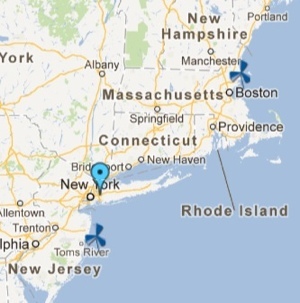 It’s no coincidence that these places are where offshore wind projects Cape Wind and the planned NJ offshore projects (Garden State, Fisherman’s Energy, Blue Water -plus, some are just proposals) are close to becoming a reality, and it’s on people’s minds. Maybe next time, we’ll be holding an event ourselves! What kind of fun wind-related event would you like to be a part of? Let us know! Ok, so- no, it’s not an actual event, but the launch of the concept surely is to us here at All Our Energy. 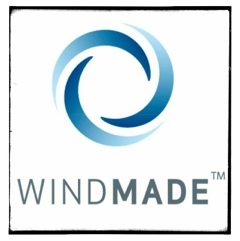 As a follow up to our previous post Windmade: Change You Select, the European (EWEA) Wind Energy Association are putting forth a new concept: make your event Windmade. The Windmade concept is an alternative driver to not only create a market for, but to help make available wind-powered electricity. They market to manufacturers who can then label amd market their goods as “Windmade” also letting the public choose to purchase products made with true clean energy (and by rights implying the consumer should consider how other products are made). We really like both ideas. 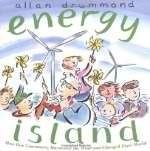 We believe the answer to expanding renewable energy is in getting the public involved and aware of renewable energy and help give them access to it, and this project wins on both fronts. What else could be Windmade? We have the subject in our backyards here in Point Lookout. I’ve seen some great shots out there already. We have a phenomenal backdrop, as well. Here’s how to enter the Global Wind Day photo contest.